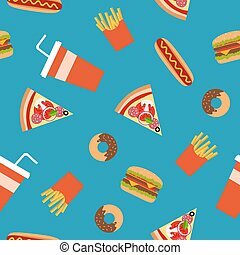 Assembly flat shading style icons fast food sign. 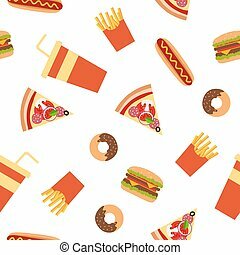 Assembly flat shading style icons of fast food sign. 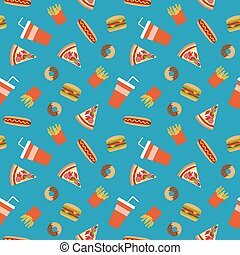 Fast food flat style seamless pattern. 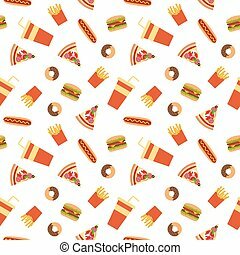 Vector background for your design.